Everyone loves and appreciates different forms of music; whether it’s through singing, playing your favourite instruments and singing along, or by simply listening and feeling the heart of the music. The amazing thing about music is that you can hear it in any language and yet still feel the passion and story behind it. Waiata, like other forms of music is a way to communicate. It serves a purpose, such as storytelling, to support, to teach, to warn, to urge others, or to mourn. It is beautiful and passionate, and its purpose only make these feelings stronger. There are three main types of traditional waiata. These are waiata tangi (laments), waiata aroha (love songs) and oriori (lullabies). However, these are only some of the many forms of waiata; and it now spans across various music genres and themes from Alien Weaponry’s album ‘Tū ‘ ( a heavy metal band that sings completely in Te Reo,) to Maisey Rika‘s song ‘Tangaroa Whakamautai,’ from her album Whitiora, which is haunting and beautiful. What is your favourite waiata? What does waiata mean to you? 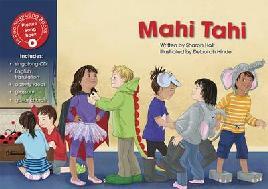 Waiata is another way to help learn new words or a language. It helps build your memory by repeating lyrics and having a meaningful or catchy tune; and is a great tool for teaching tamariki. Te Tāhuhu o Te Mātauranga (Ministry of Education) has some awesome resources built on supporting te reo Māori by giving resources designed for learning and teaching in waiata. Hei waiata contains song sheets with the key, lyrics and tune, teaching suggestions and finally a free MP3 download of the waiata; and there is plenty to choose from! Another way of getting to learn easy waiata is to listen to it; could be at home, in the shower, or in the car ride on the way to school. Anika Moa has two lovely albums with songs for children that are catchy, easy to sing to and are just plain fun! You could also have a look at Māori Television’s “Waiata,” a showcase of original songs from Aotearoa’s contemporary artists. 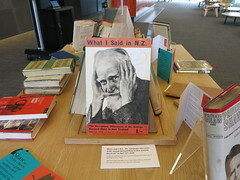 Did you know we also have loads of resources of waiata right here in Christchurch City Libraries? There is various forms of enjoying waiata; could be as a CD, a lyric book, or a compilation of various formats e.g book and CD. Throughout Te Wiki o te Reo Māori we’ll be blogging about ways you can help strengthen the reo. 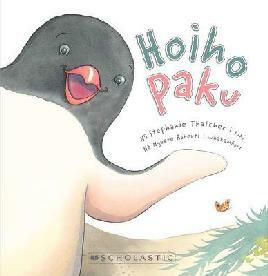 Ko tēnei te wiki o te reo Māori (it’s Māori Language Week) and throughout our network of libraries the usual preschool storytime sessions for this week will have added te reo Māori content. 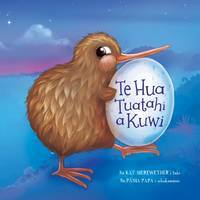 If you attended a session and want to try adding some te reo Māori stories at home, or if you missed out and want to give it a go yourself here’s a list of recommended titles for introducing some linguistic variety into your child’s storytime repertoire. Kuwi the Kiwi has never had an egg before, so she’s unsure how to look after it. When the egg gets a crack Kuwi thinks that the egg is broken, but she’s in for a surprise. 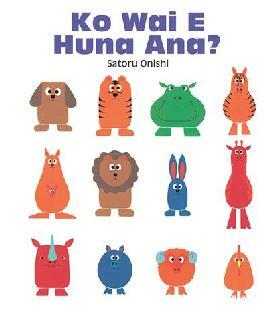 One of a series of te reo board books. Read our interview with author Kitty Brown. 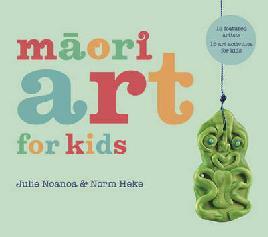 This collection of 15 projects offers children aged 7 and over a range of unique Māori art experiences. Practical skills cover sculpture, photography, design, paint, mixed media, collage and more. Easy-to-follow instructions include illustrations of the steps involved, using everyday craft materials, recycled and found objects. Examples of taonga (treasures) created by leading contemporary artists are shown alongside each project with a brief explanation of the object, its purpose and use in the past and present. A rare Wellington green gecko is wary of predators and runs to safety. Includes factual information about green geckos, their behaviour and life cycle, and traditional Māori beliefs about geckos. 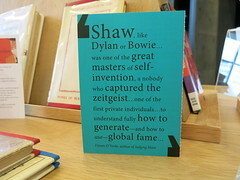 A song (with book and CD) about working, playing and interacting together. Read our interview with author Sharon Holt. Follows the adventures of mischievous dog Flash who escapes from home and gets up to all sorts of antics, chasing cats, sneaking into cars, rolling in rubbish. The reader is invited to guess who causes the boat to sink when five animal friends of varying sizes decide to go for a row. 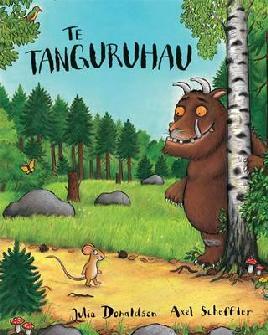 The Māori language version of the children’s picture book, The Gruffalo. A clever mouse uses the threat of a terrifying creature to keep from being eaten by a fox, an owl, and a snake, only to have to outwit that creature as well. When Max wears his wolf suit and makes mischief, he is sent to bed without his supper. But in his room a forest grows and Max sails to the land of the wild things where he becomes their king. Simple adventures of family life with Charlie the dog. From the series Beginning to read with Charlie. 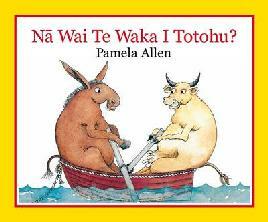 Reader for children in Māori. Looks at a tuatara. 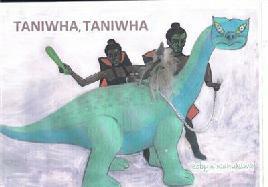 From the Early Te Reo Reading Book series. Follows the progress of a hungry little caterpillar as he eats his way through a varied and very large quantity of food until, full at last, he forms a cocoon around himself and goes to sleep. Good for learning different words for food. 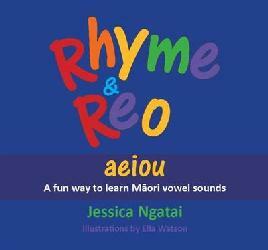 Catchy music for preschoolers with some te reo Māori. The traditional lullaby ‘Hush Little Baby’, retold with a strong New Zealand flavour. A baby is promised a series of items including a woolly sheep, kowhai flowers and singing tui. E koekoe te tūī, e ketekete te kākā, e kūkū te kererū. Having just completed a whistle-stop tour of 5 libraries with Ngā Manu Tioriori (Council waiata group) today as part of celebrating Te Wiki o Te Reo Maori, it is apt to write about waiata me te Reo Māori. One very effective way to enhance learning of a language is by singing! Te Ao Māori is full of glorious waiata for all sorts of occasions – from whakapapa retention, understanding the world around us, celebrations and learning. Language transmission is enhanced and embedded with the use of music, rythmn, and repetition. 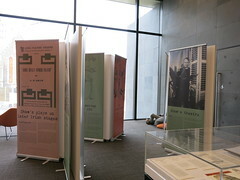 Ngā Kete Wānanga o Ōtautahi has a large collection of Te Reo Maori waiata and songs for tamariki in te Reo Maori for you to explore. 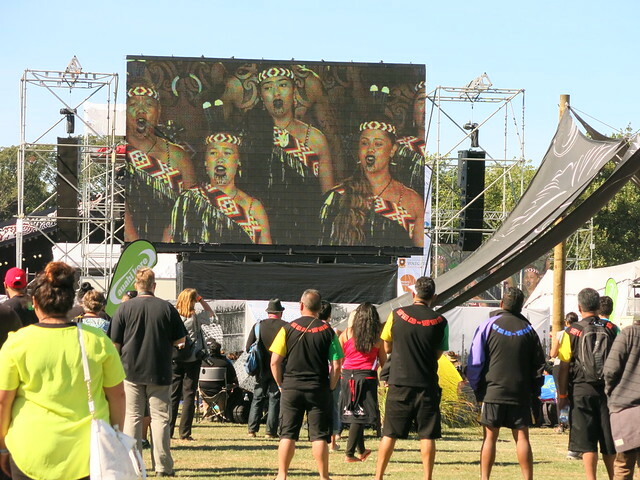 Web sites such as Waiata mai and Maori Television allow for visual interpretation as well, with kupu often visible – just like karaoke! Get your tamariki and moko to find some and have a whānau competition. Waiata on You Tube will keep you busy for ages. With artists such as Ariana Tikao and Maisey Rika producing beautiful waiata and stunning video we have such wonderful oppurtunities to listen to te Reo Māori sung with aroha. What is your favourite te Reo Māori waiata? Kōrerorero mai. This was so much fun! Adrenalin, but not the earthquake variety. And the best way to learn a little Te Reo Māori. 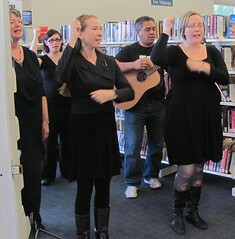 To celebrate NZ Music Month 2011, The Christchurch City Council waiata group – Ngā Manu Tioriori – entertained customers and colleagues on a tour around libraries. 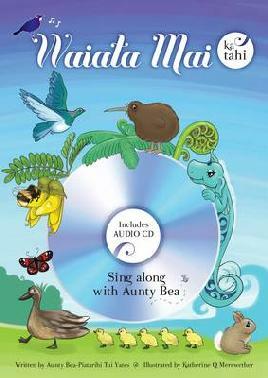 You can listen to waiata at home, just check out some CDs and enjoy. 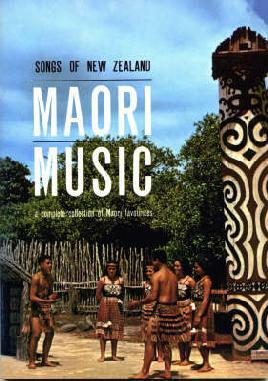 Learn about traditional Māori music on our website or enjoy a book about the history of Māori music. 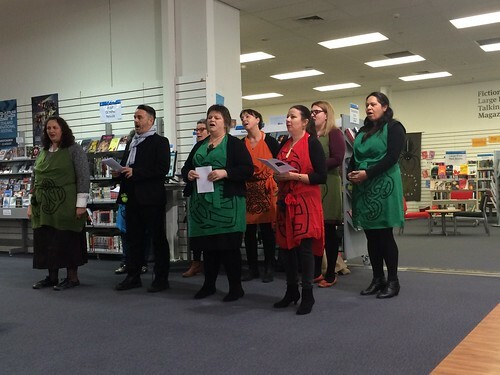 During New Zealand Music Month Ngā Manu Tioriori, the Christchurch City Council waiata group, are touring around some of our libraries to entertain you. 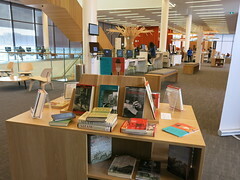 On Thursday the group will visit South, Spreydon, Bishopdale, Redwood, Parklands, and New Brighton libraries. If you are in these libraries between 9.30 and 1.oo we hope to see you! Join in or just enjoy. Want to read about Māori performing arts or listen to waiata? 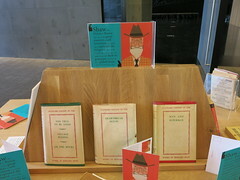 Try some music from the library, or check our books and online resources. The proverb above refers to how with care, a small kumara will produce a harvest. I love how it captures the idea of the end result being much greater than the actual investment. If you have got tamariki in your life you will thoroughly enjoy this compilation of lullabies. Sung by a passionate Te Reo Māori advocate, Ms Pānia Papa, accompanied by a fantastic blend of female and male voices, taonga pūoro and contemporary instruments. It is all about the potential children hold within themselves. What a gem. Listening to this audio CD will make you want to cuddle, dance, nurture and sing away with your little one like nothing else. It is filled with aroha. For those of us that don’t feel so confident singing in Te Reo, it comes with a singalong DVD with words rolling along the bottom of the screen. And if you are keen want to give waiata a go, why not try the Nga Pihi series? 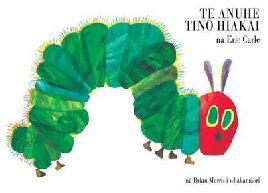 Trust me, they are tino pai.